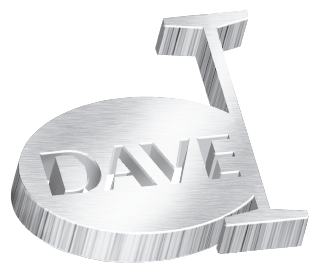 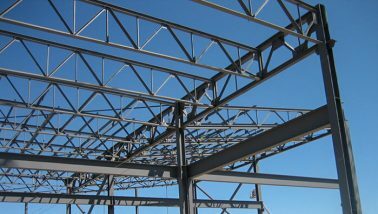 We have worked on an incredible range of projects in a number of industries across Canada and in the United States. 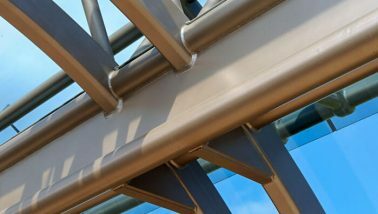 Regardless of the industry, size or complexity, we always bring the same passion and commitment to every project we take on. 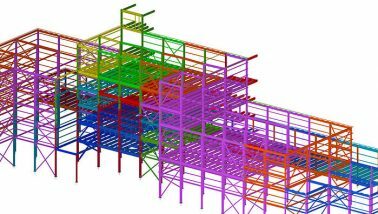 We’d love to talk to you about your next project. 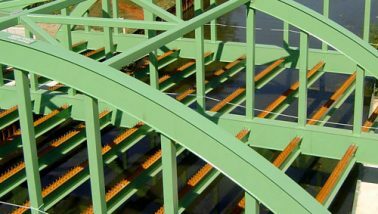 For Walters Group projects, reach out to us here. 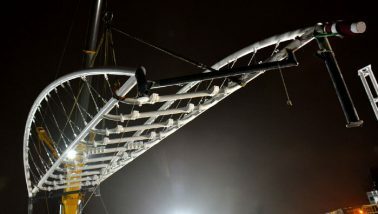 New road bridge spanning a river valley with major highway running below. 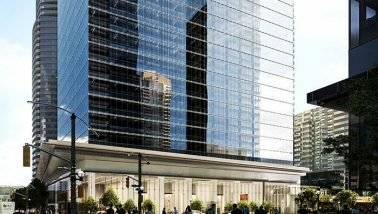 Once completed, Brookfield Place Calgary will stand as the tallest tower in Canada west of Toronto. 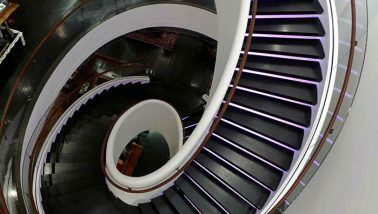 A seamless stair to launch the Tommy Hilfiger 5th Ave flagship store. 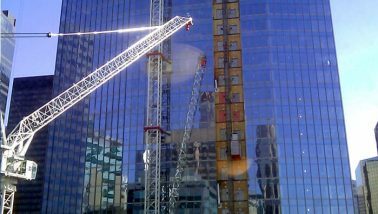 Creating an exoskeleton for an existing office tower in preparation for the addition of 37 storeys. 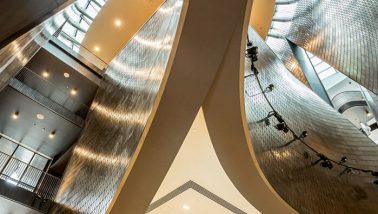 An awe-inspiring museum that creates an architectural journey. 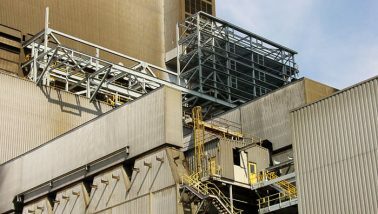 Global confectionery giant Ferrero International has expanded its Canadian manufacturing plant in Brantford, ON. 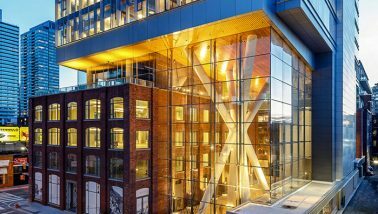 900,000 sq ft LEED Platinum Class AAA mixed-use building located in central Toronto. 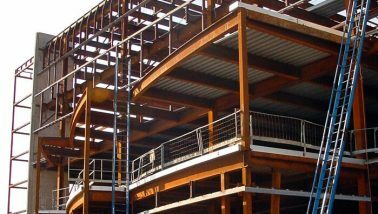 Reengineering frame for retail, office and residential complex while keeping the building operational. 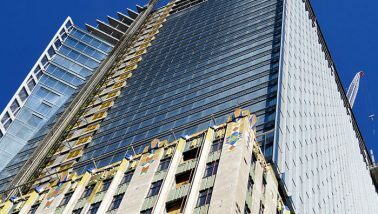 Cadillac Fairview along with its partner, the Ontario Pension Board, is the owner of the new 32-storey office tower at 16 York Street. 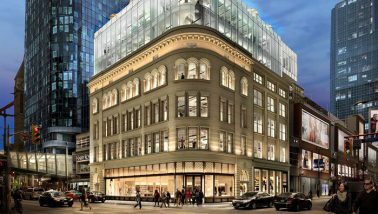 The owner, Cadillac Fairview, requires an extensive restoration and expansion of 2 Queen Street West, a heritage building in downtown Toronto. 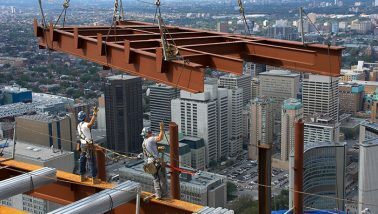 Formerly known as Bay Park Centre, CIBC Square will feature two buildings and a one-acre elevated park above the Union Station rail corridor. 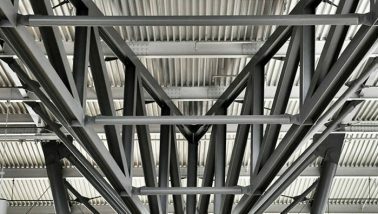 Multi-use complex is a large gymnasium covered by a series of complex tri-chord curved steel trusses. 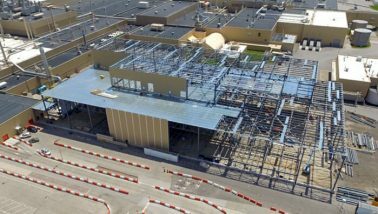 Retail and entertainment complex in the Meadowlands Sports Complex in East Rutherford, New Jersey. 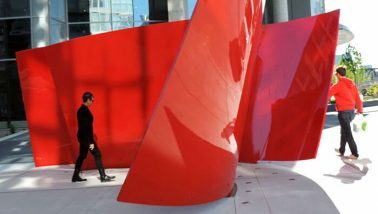 Stunning public art installation in Toronto, ON. 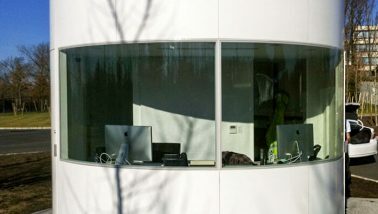 The APC tower was built in the middle of an existing mill building. 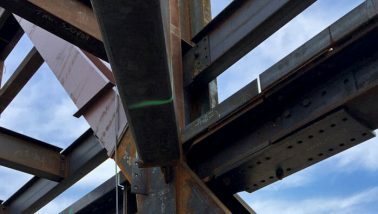 Walters scope of work involves erecting the steel structures surrounding the blast furnace gas-fired B&W TSSG boiler and auxiliary equipment for a local company in Hamilton, Ontario. 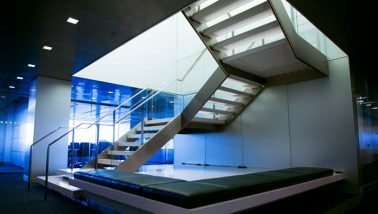 Structural stainless steel stair for Manhattan office tower. 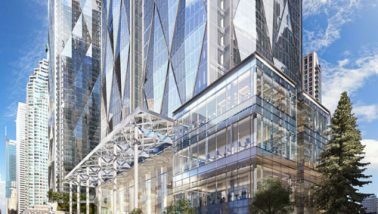 At 44 storeys and one million square feet of office space, the Bay Adelaide East (Phase 2) seamlessly complements the constructed West Tower (Phase 1). 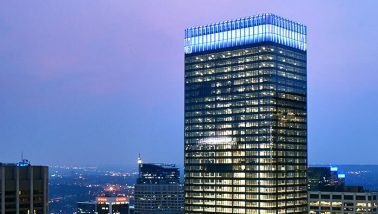 Designed as a landmark signature tower, with a distinctive rooftop silhouette that leaves an architectural imprint on the skyline. 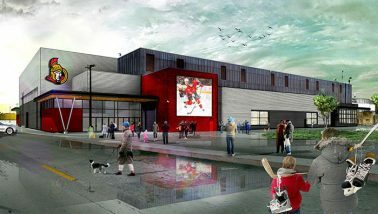 Built in 1978, Yardman Arena was then known as the Quinte Sports Centre. 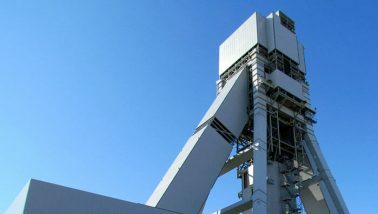 The BHP Jansen Potash Mine in Saskatchewan was designed to be the world’s largest potash mine. 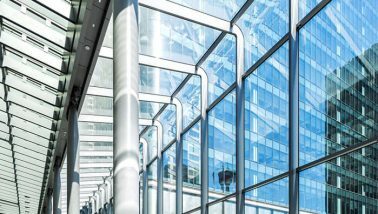 Glass-and-steel pavilion that serves & sets the tone for visitors and tenants at Brookfield Place. 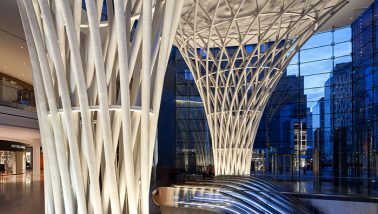 An impressive architecturally exposed structural steel structure is the entryway pavilion of the World Financial Center in NYC. 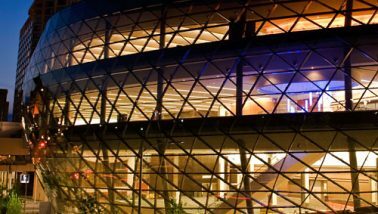 Stunning architectural design that creates a military history museum of international stature. 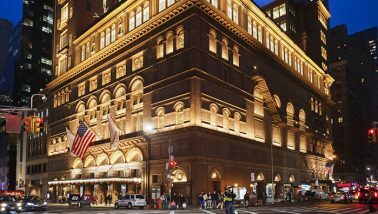 Re-development project for one of the most prestigious music venues in the world. 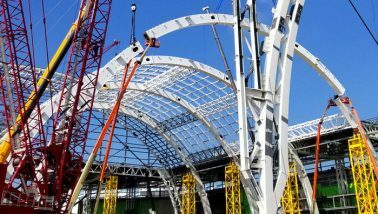 6,000-seat aquatics arena for the Toronto Pan Am and Parapan games. 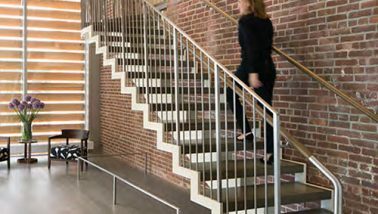 Feature stair and wall for offices of major American non-profit organization. 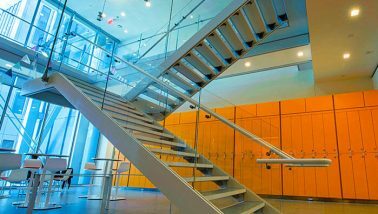 The Jerome L. Greene Science Center is a hub for the distinguished neuroscience researchers of Columbia University’s Mortimer B. Zuckerman Mind Brain Behavior Institute. 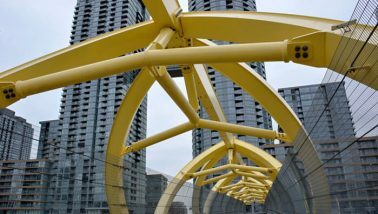 Pedestrian bridge linking the western portion of Concord CityPlace to Front Street West in Toronto, ON. 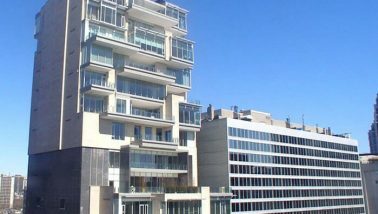 As one of the highest skybridge residences in the world, it is part of a four-tower condo complex at Concord Adex’s CityPlace in Toronto, ON. 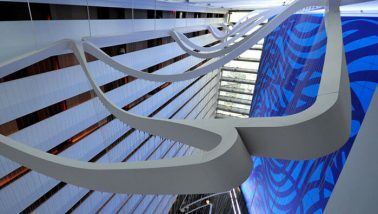 Awe-inspiring art installation in one of the world’s most prestigious hotels. 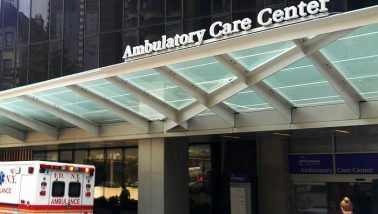 Credit Valley Hospital is a regional hospital located in Mississauga, Ontario. 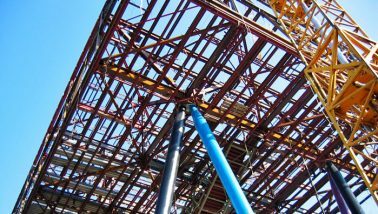 Shells for two new buildings for refurbishing components for Darlington Nuclear Power Plant. 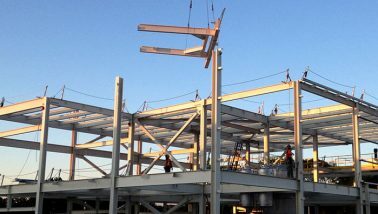 Swift construction of six massive buildings, with tight timelines in a remote part of Northern Ontario for Canada’s largest gold mine. 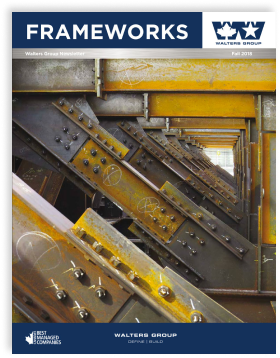 We were proud to do a home-town job at this Hamilton facility. 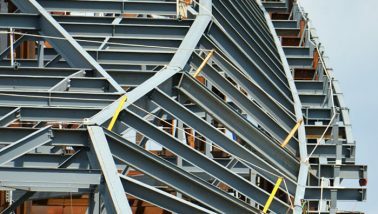 Edmonton Downtown Arena, also known as Rogers Place, is located in the centre of the Edmonton Arena District in downtown Edmonton, Alberta. 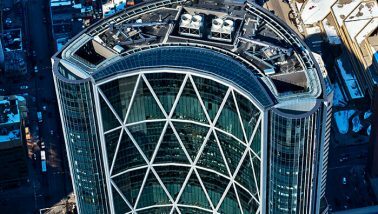 LEED Platinum certified luxury office tower in downtown Calgary. 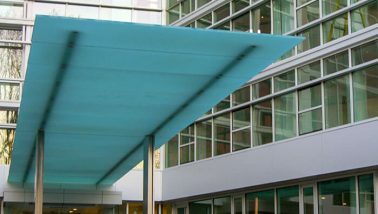 Structural stainless steel canopy and structural glass soffit for luxury residential tower in Washington DC. 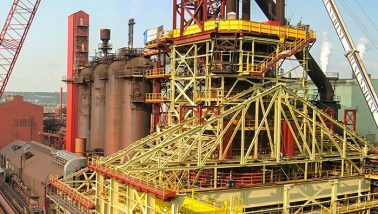 Installation of three Selective Catalytic Reduction scrubbers at power station in Shippingport, Pennsylvania. 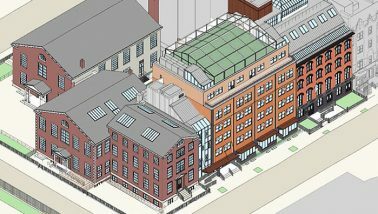 Retrofit of historic buildings at a Quaker Day School in New York City. 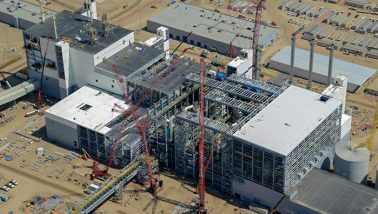 GE Power’s new 450,000-square-foot multi-modal manufacturing plant. 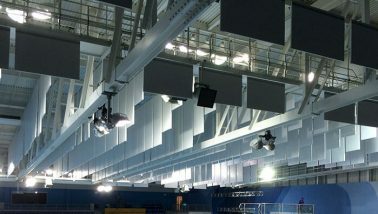 Four-storey sports facility featuring 2,000 seat basketball and volleyball gymnasium, training facilities, and multi-use spaces. 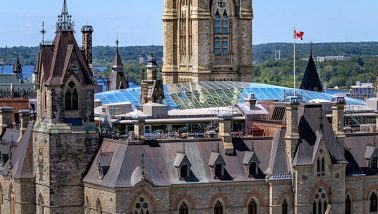 Renovation of historic buildings that will serve as the temporary home for the Canadian Senate. 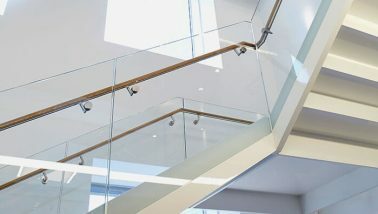 Feature staircase in new headquarters of Greenfield Partners; a Connecticut-based real estate investment management company. 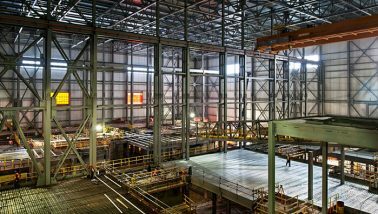 Re-build of large-scale production facility that will be used to build Arctic/Offshore Patrol Ships (AOPS) for the Canadian Navy in Halifax, NS. 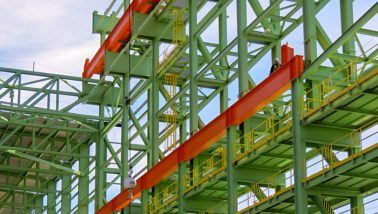 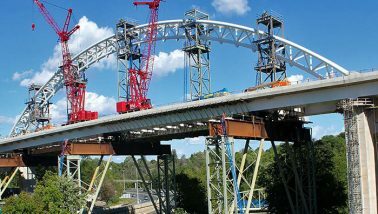 One of the largest bridge engineering projects using primarily structural steel in recent years. 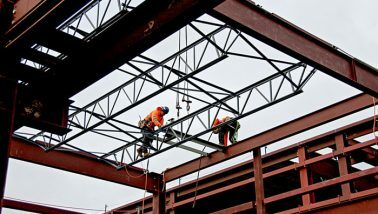 This was a fast-tracked project to expand the engine plant for Honda’s plant in Alliston. 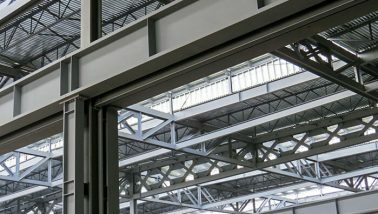 Honda Canada Inc. has upgraded and expanded its Honda Plant 1 Paint Shop facilities in order to build new models of the Civic and the CR-V. 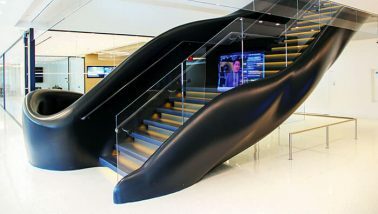 Interior feature staircase as part of renovation of ICE building in midtown Manhattan. 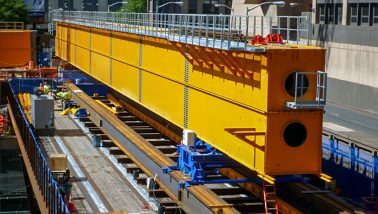 Platform and railing for one of Manhattan's most iconic landmarks. 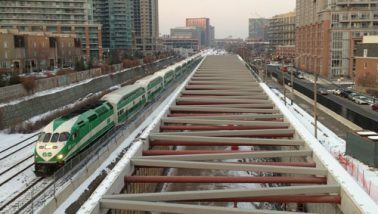 Pedestrian bridge crossing active rail line, providing gateway into revitalized Toronto neighbourhood. 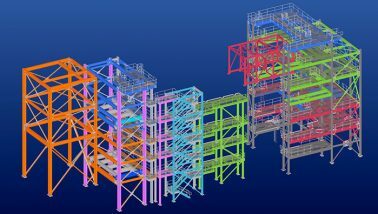 The scope of this project included the main process buildings which are comprised of nine major industrial structures. 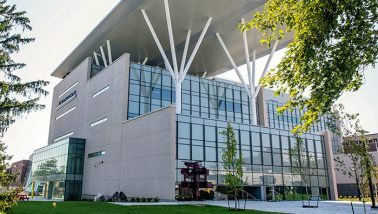 The Laurier Brantford YMCA Athletic and Recreation Centre is the new home of the health, fitness and aquatics complex. 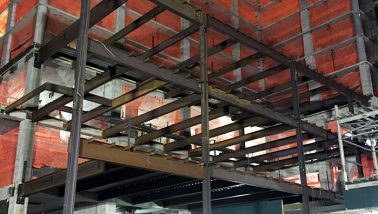 Replacing the original Terminal One and a portion of Terminal Two at Canada's busiest airport in Toronto, ON. 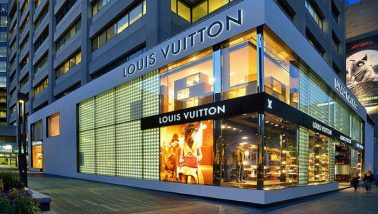 A signature steel-and-wood staircase and an external façade for a flagship Louis Vuitton location, designed and constructed to look beautiful even after a hurricane. 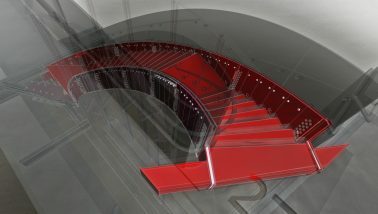 Staircase and façade for flagship Louis Vuitton store in Toronto, ON. 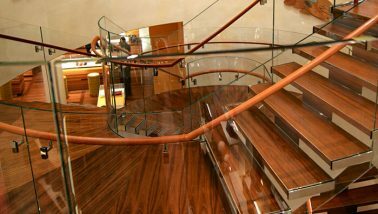 Signature nine-flight cantilevered staircase curving uniformly through four different floor-to-ceiling distances. 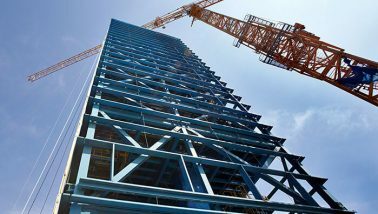 One Manhattan West is a 71 storey mixed-use tower of which 67 storeys are being utilized for office, residential and retail, with the remaining floors being used for mechanical. 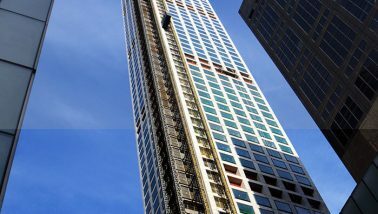 A residential building at Manhattan West that will rise 62 storeys with 844 units and offer an array of amenities that embrace the urban lifestyle. 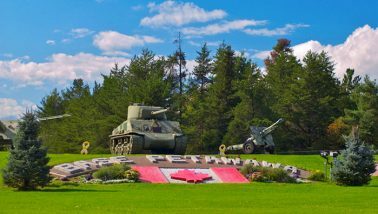 The Mattawa Plains Compound will consist of 9 buildings in total on Canadian Forces Base Petawawa’s secure compound. 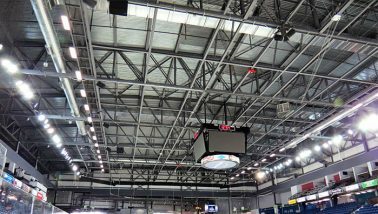 6,000-seat arena that serves as a major venue for sports and entertainment. 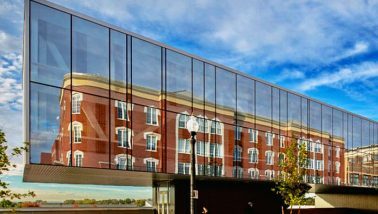 Opened in the fall of 2018, Mohawk College's Joyce Centre for Partnership & Innovation is the cornerstone of a record-setting $54.25 million renewal of technology labs and classrooms. 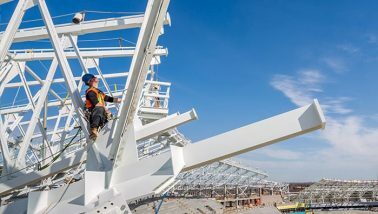 33,000 – 40,000 seat stadium in Regina, Saskatchewan. 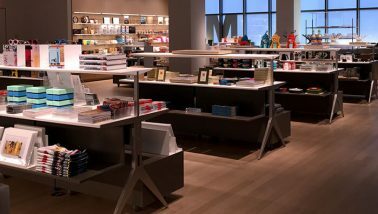 Founded in 1929 as an educational institution, The Museum of Modern Art (MoMA) is often identified as one of the largest and most influential museums of modern art in the world. 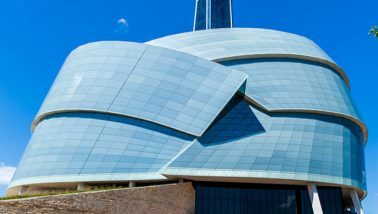 The National Music Centre (NMC) is not only unique in Canada in terms of collections and programming, but it is also Calgary’s first national cultural institution. 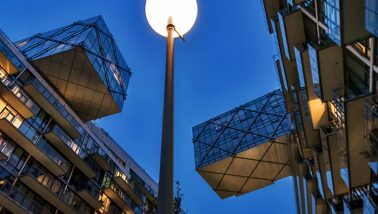 Glass floats on cantilevered canopies that welcome visitors to New York University. 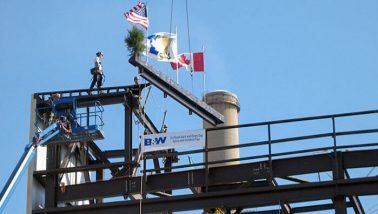 Addition of environmentally friendly equipment at power station in Wheatfield, Indiana. 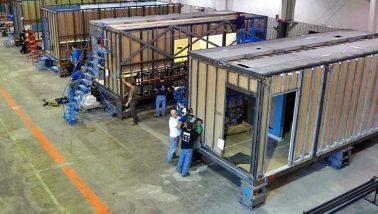 Complete, free-standing, insulated modular guard booth with two-piece washroom, server room and two work stations. 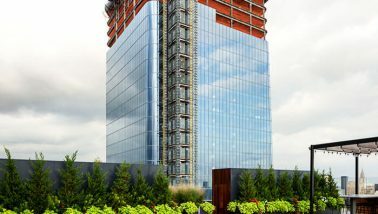 Constructed on a postage-stamp sized site in a very sensitive location, this building soars over a dense area of premier commercial, residential and arts communities. 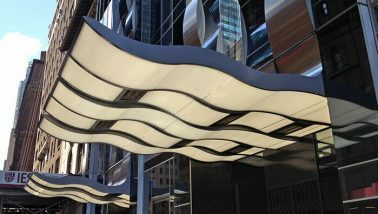 Undulating canopies extending organically from the glass curtain wall at one of Manhattan’s tallest residential buildings. 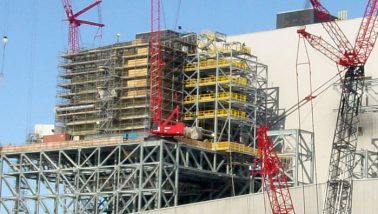 Catalytic Reduction Support Structure for the Ontario Power Generation Corporation at the Nanticoke Generating Station was one of two “identical” projects executed simultaneously. 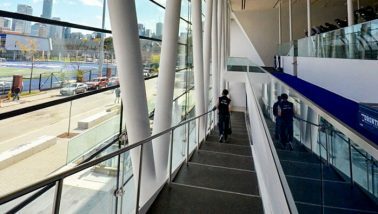 Transformed the Ottawa Congress Centre into a world-class convention centre. 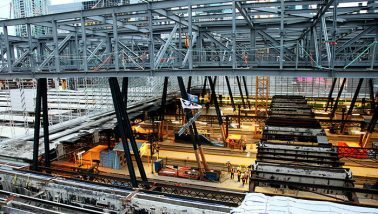 This Confederation Line will be the backbone of Ottawa’s new rail and rapid bus public transit system, with 13 rail stations. 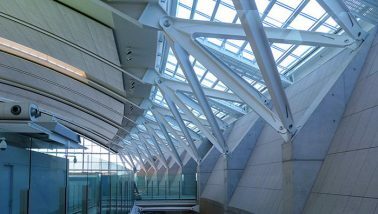 New passenger terminal at one of Canada's busiest air corridors. 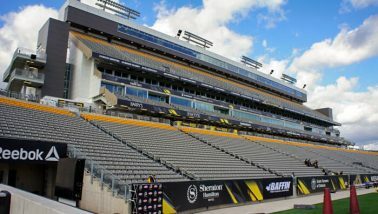 The Pan Am Hamilton Stadium, also officially named Tim Hortons Field, has the largest average number of individual stadium seats of any outdoor facility in Canada. 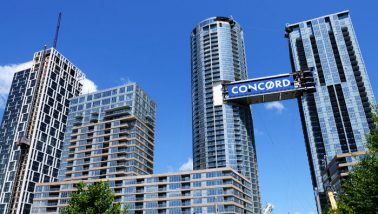 A world-class waterfront condominium with spectacular views of the city, water and sky with buildings connected by way of two, three-storey bridges. 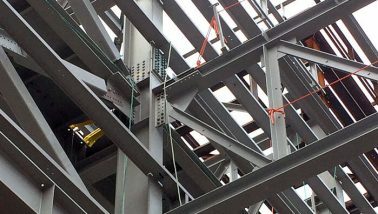 Complex steel structure built atop a series of large diameter pipe intersection columns to support a concrete office tower. 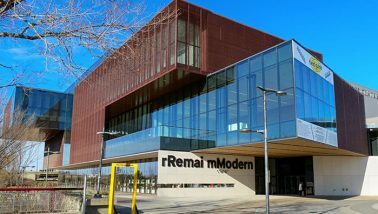 A major new art gallery that collects, develops, presents and interprets current art. 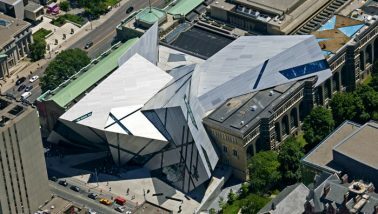 Inarguably one of the most complex structures built in Canada, "The Crystal" is the main entrance to one of North America's largest museums. 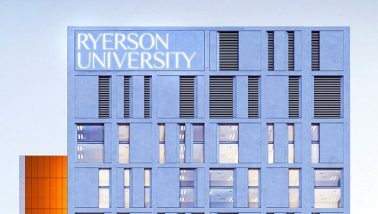 Ryerson University’s Church Street Development is a multifunctional hub that houses academic and administrative spaces. 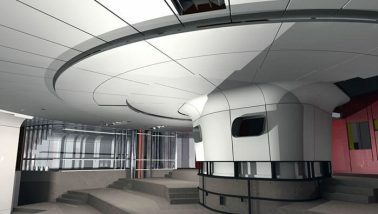 Interactive 100-seat digital classroom at Mazankowski Alberta Heart Institute. 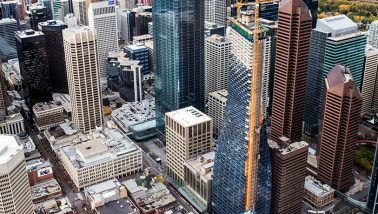 Once complete, the 221-metre TELUS Sky tower will bring 25 floors of office space and 28 floors of residential space to downtown Calgary. 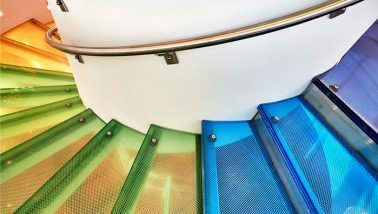 Located in the city of Dallas, Texas Scottish Rite Hospital for Children treats many of the world’s most complex orthopedic cases, as well as certain related arthritic and neurological disorders and learning disorders, such as dyslexia. 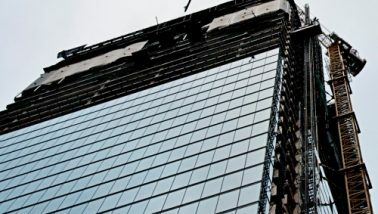 Fabrication and installation of pre-fabricated modular washrooms for the The Bow high-rise in Calgary, AB. 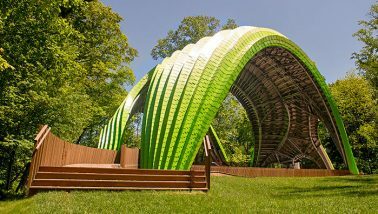 Sculptural stage and pavilion serving as the centre-point of a “culture park” in the Symphony Woods of Columbia, MD. 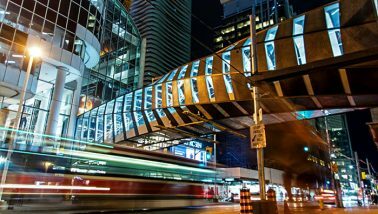 Cadillac Fairview (CF) has replaced the existing pedestrian bridge across Queen Street to better integrate CF Toronto Eaton Centre with the Hudson’s Bay and Saks Fifth Avenue flagship locations in downtown Toronto. 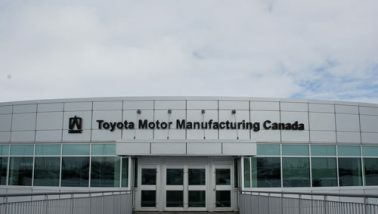 Toyota Motor Manufacturing Canada Inc.’s West Plant is the North American manufacturing facility for the ever-popular Toyota RAV4 crossover utility vehicle. 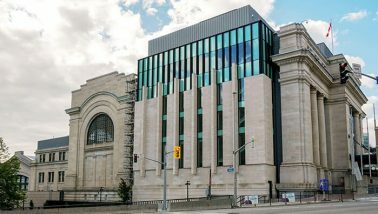 Landmark steel-and-glass atrium for Toronto’s revitalized Union Station. 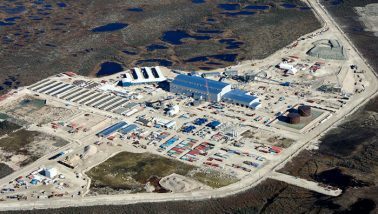 Diamond mine located in Ontario. 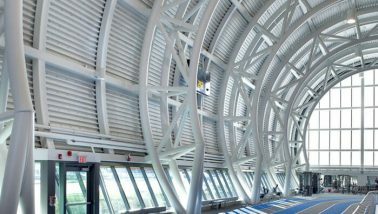 VivaNext shelters, built for the rapidly expanding York Region of Ontario, provide high-speed transit users with an airy, welcoming waiting area. 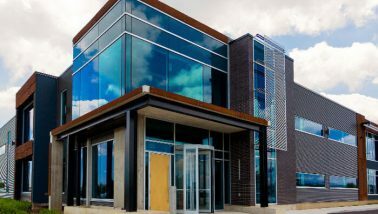 Walters Group Head Office, located in Hamilton, Ontario, is our company’s new headquarters. 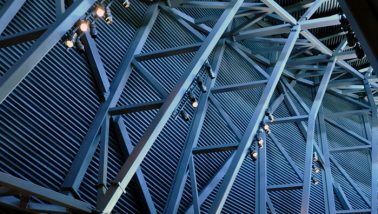 Building columns, branches and roof of one of Ottawa’s most iconic buildings. 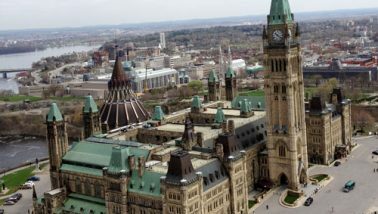 Total renovation of historic block of Ottawa’s Parliament Buildings. 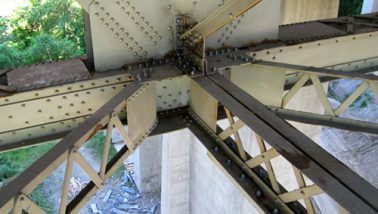 Uniquely designed triple-arch bridge in Windsor, ON. 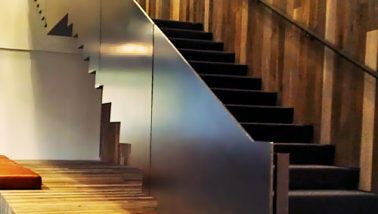 Plate fabricated blackened steel treads and risers ascend four flights within the New York offices of this global branding firm.